The email had appeared in my inbox Sunday afternoon. It had been sent from dear Mrs. Abernathy, a longtime member of the hundred soul church that I was charged with pastoring. This the same dear Mrs. Abernathy who, on occasion, would delight the congregation with her singing during the accepting of the offering. But getting back to the email, Mrs. Abernathy was correct. The service had gone a bit longer than normal, but it was not my sermon that was the cause. The added time to the service was due to the time that we spend singing hymns as a congregation taking longer than normal. It was suggested by an irritated choir member that we sing all verses of the chosen hymns as opposed to just two verses. The suggestor went on to explain that the writer of a given hymn was doing so under the inspiration of God, and it was unlikely that God only wanted the virtues of the first and last verse of a song conveyed. He most certainly intended on all verses being sung. . . . even if there were eight of them. Adding to the extra time needed to sing all verses of all hymns was the fact that the tempo of the songs had been slowed as well. The faster tempo of previous song worship sessions had apparently disturbed a member of the church board, Phil, who had been saved from a rather wild former life of drinking and partying. He said the faster tempo constantly reminded him of music by the band Motörhead, a distinctly non-Christian band, and of his former life of which Motörhead music had apparently been a part of. Phil, a former fan of the band Motörhead, chose to wear his hair somewhat long, perhaps a remnant of his former Motörhead filled, pre-born-again life. 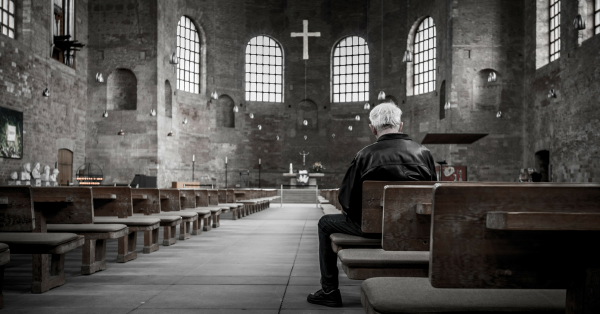 The long hair and the fact that he was on the church board with long hair provided a sticking point for some of our elder church members, particularly an elderly gentleman named Frank. 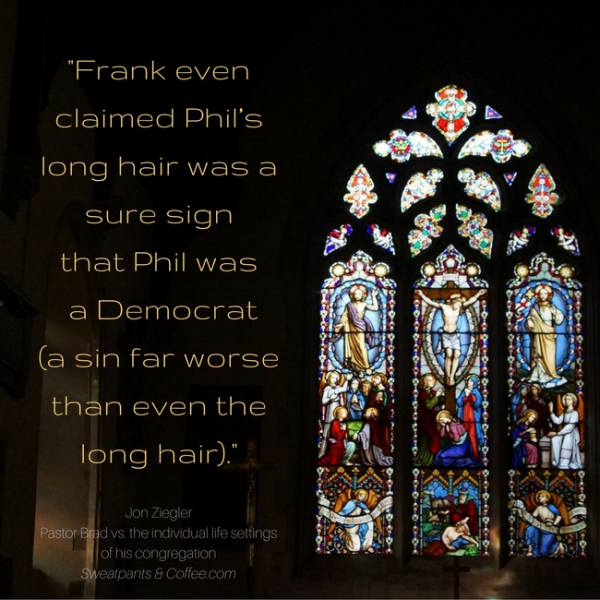 Frank even claimed Phil’s long hair was a sure sign that Phil was a Democrat (a sin far worse than even the long hair). Now, Frank was convinced that the Republican Party was the chosen party of the Trinity, much in the tradition of God choosing the Israelites as his people. I strongly believe that Frank was so convinced of this that he favored bringing back segregation; only it would be based on political affiliation rather than race. Frank would like nothing more than to drive all democrats out of the house of God, and force them to go to their own “separate but equal” churches . . . I feel certain he would favor separate Democrat and Republican drinking fountains as well. 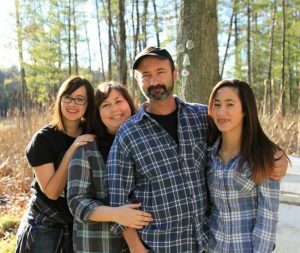 Frank’s wife Kathy was not as much concerned with the political opinions of other church members, but chose to focus on the patriotism of the church. . . which was a subject she apparently was an authority on. Kathy has informed me on more than one occasion that having the American Flag displayed to the side of the stage and pulpit as opposed to directly above it was proof of my and the church’s complete lack of patriotism. Had I only known that flag placement was all that was required as proof of patriotism, I could have spared myself four very tough years serving my country in the Army. I could have simply flown the American flag in the correct location, and been given the patriotic credit that my military career apparently failed to provide. I know that freedom of speech is a precious right, but we seem to now view it as an obligation. We seem to view our lives like a smart phone. We want to arrange things and change settings to custom fit our life/church/relationships to our own personal preferences. We want our experiences to be that perfectly arranged home screen. And we get upset and indignant if all our personal preferences and life settings are not met. It never ceases to amaze me when three different church members express three distinctly different opinions on how the service should be conducted, and all fully expect I will make changes simply because they feel that their way is the correct way. How do you even win in a situation like that? At least two of the three are going to be angry that the service is not to their liking. Sometimes I wonder, does anyone even listen to the Sermon? Or are they too busy worrying about Cheesus, the placement of our flag, politics and Motörhead to even benefit from the word of God?